Add a creative spark to your home with the Agata mosaic tile. 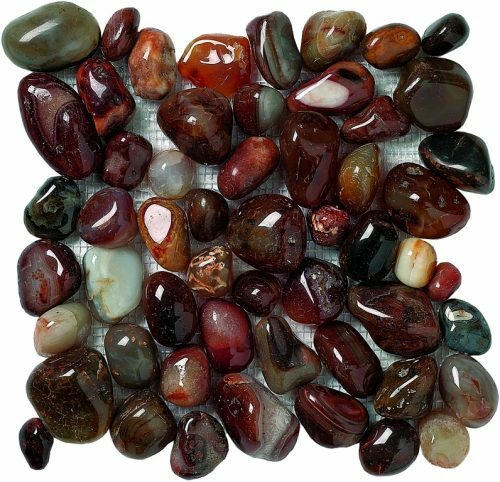 This captivating mosaic tile features a cluster of semi-precious agate stones in rustic shades of browns, oranges, reds, greens and whites. Pair this this mosaic tile with marble or cream finishes for a more stylish finish. Fun and creativity are two characterises best used to describe the Agata mosaic tile. Its innovative design will make it the focal point of any space it is used in. It is suitable for any interior wall and is ideally suited to be featured in bathrooms. The Agata mosaic tile exhibits superior workmanship and is highly durable. The polished agate stones are hardwearing and offer a favourable texture. 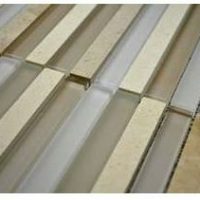 They will not lose their shine or diminish with time, making this mosaic tile a very durable choice. 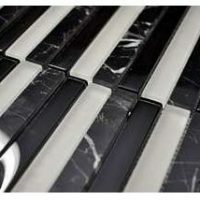 For captivating mosaic tiles in Perth, choose the Agata mosaic tile. 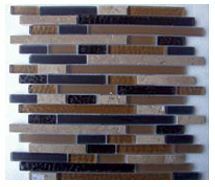 Buy this creative mosaic tile from our online store today to take advantage of our free delivery across Perth Metro.